Lego Star Wars Clone Trooper Pilot Cufflinks. £17, Retro Handmade very fashionable, trendy and fun to wear. 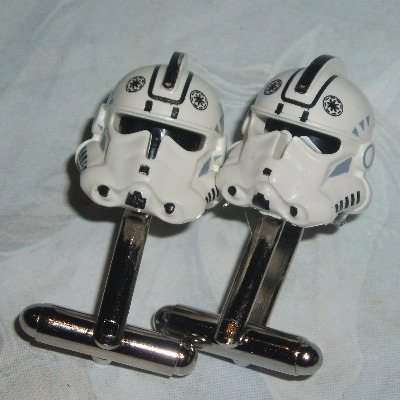 Very Rare and hard to find Star Wars Stormtrooper Clone Trooper Pilot Helmets on sturdy silver plated cufflinks bases. Will brighten the dullest shirt.